School has started, and with it debate about people driving their kids to and from school is flaring up and again people are questioning how much traffic is caused by this. 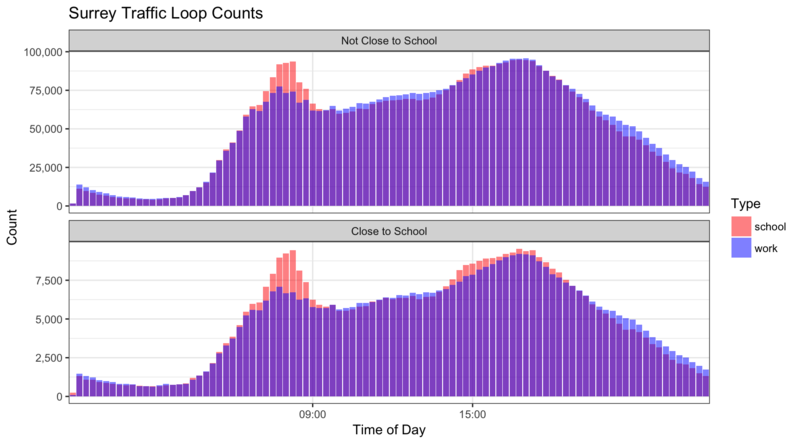 Here we have an article that utilizes Surrey Open Data for analyzing Surrey School Traffic. Our Traffic Loop API was utilized along with Loop Location data, Surrey Boundary and Places of Interest data to acquire school locations. Great analysis and use of Open Data.